Available only to qualified customers through Mercedes-Benz Financial Services at participating dealers through April 30, 2019. Not everyone will qualify. Advertised 36 months lease payment based on MSRP of $34,045 less the suggested dealer contribution resulting in a total gross capitalized cost of $32,935. Dealer contribution may vary and could affect your actual lease payment. Includes Destination Charge and Keyless Go Package. Excludes title, taxes, registration, license fees, insurance, dealer prep and additional options. Total monthly payments equal $12,564. Cash due at signing includes $2,499 capitalized cost reduction, $1095 acquisition fee and first month’s lease payment of $349. Your acquisition fee may vary by dealership. The acquisition fee charged by the dealer may affect the total cash due at signing. No security deposit required. Total payments equal $15,858. At lease end, lessee pays for any amounts due under the lease, any official fees and taxes related to the scheduled termination, excess wear and use plus $0.25/mile over 30,000 miles, and $595 vehicle turn-in fee. Purchase option at lease end for $20,427 plus taxes (and any other fees and charges due under the applicable lease agreement) in example shown. Subject to credit approval. Specific vehicles are subject to availability and may have to be ordered. See participating dealer for details. Offer valid for select vehicles contracted between February 1, 2019 – April 1, 2019. This first payment offer is only valid for a 2019 A-Class. Offer only valid for retail or leased vehicles financed through Mercedes-Benz Financial Services. Subject to credit approval. Please see your local authorized Mercedes-Benz dealer for full program details. It’s exceptionally sleek yet subtly elegant. Generous with space and safety, yet fun, agile and efficient. From the Star in its grille to the sculpture of its taillamps, it’s a shape that sets a benchmark for luxury sport sedans. And in both luxury and sportiness, the experience upholds everything its style promises.. Available only to qualified customers through Mercedes-Benz Financial Services at participating dealers through April 30, 2019. Not everyone will qualify. Advertised 36 months lease payment based on MSRP of $43,445 less the suggested dealer contribution resulting in a total gross capitalized cost of $41,486. Dealer contribution may vary and could affect your actual lease payment. Includes Destination Charge and Premium 1 Package. Excludes title, taxes, registration, license fees, insurance, dealer prep and additional options. Total monthly payments equal $15,084. Cash due at signing includes $2,999 capitalized cost reduction, $1095 acquisition fee and first month’s lease payment of $419. Your acquisition fee may vary by dealership. The acquisition fee charged by the dealer may affect the total cash due at signing. No security deposit required. Total payments equal $18,908. At lease end, lessee pays for any amounts due under the lease, any official fees and taxes related to the scheduled termination, excess wear and use plus $0.25/mile over 30,000 miles, and $595 vehicle turn-in fee. Purchase option at lease end for $25,198 plus taxes (and any other fees and charges due under the applicable lease agreement) in example shown. Subject to credit approval. Specific vehicles are subject to availability and may have to be ordered. See participating dealer for details. Seductive lines slice the wind and the clutter of ordinary cars. Sculpted muscle and a confident stance put emotion into motion. Athletic yet elegant, clean yet impeccably detailed, it’s pure Mercedes-Benz. And like nothing else. Available only to qualified customers through Mercedes-Benz Financial Services at participating dealers through April 30, 2019. Not everyone will qualify. Advertised 36 months lease payment based on MSRP of $56,245 less the suggested dealer contribution resulting in a total gross capitalized cost of $53,526. Dealer contribution may vary and could affect your actual lease payment. Includes Destination Charge. Excludes title, taxes, registration, license fees, insurance, dealer prep and additional options. Total monthly payments equal $20,484. Cash due at signing includes $3,871 capitalized cost reduction, $1095 acquisition fee and first month’s lease payment of $569. Your acquisition fee may vary by dealership. The acquisition fee charged by the dealer may affect the total cash due at signing. No security deposit required. Total payments equal $25,150. At lease end, lessee pays for any amounts due under the lease, any official fees and taxes related to the scheduled termination, excess wear and use plus $0.25/mile over 30,000 miles, and $595 vehicle turn-in fee. Purchase option at lease end for $33,185 plus taxes (and any other fees and charges due under the applicable lease agreement) in example shown. Subject to credit approval. Specific vehicles are subject to availability and may have to be ordered. See participating dealer for details. Seductive lines slice the wind and the clutter of ordinary cars. Sculpted muscle and a confident stance put emotion into motion. Athletic yet elegant, clean yet impeccably detailed, it’s pure Mercedes-Benz. And like nothing you’ve ever seen. Available only to qualified customers through Mercedes-Benz Financial Services at participating dealers through April 30, 2019. Not everyone will qualify. Advertised 36 months lease payment based on MSRP of $46,145 less the suggested dealer contribution resulting in a total gross capitalized cost of $45,466. Dealer contribution may vary and could affect your actual lease payment. Includes Destination Charge and Premium 1 Package. Excludes title, taxes, registration, license fees, insurance, dealer prep and additional options. Total monthly payments equal $18,324. Cash due at signing includes $3,169 capitalized cost reduction, $1095 acquisition fee and first month’s lease payment of $509. Your acquisition fee may vary by dealership. The acquisition fee charged by the dealer may affect the total cash due at signing. No security deposit required. Total payments equal $22,218. At lease end, lessee pays for any amounts due under the lease, any official fees and taxes related to the scheduled termination, excess wear and use plus $0.25/mile over 30,000 miles, and $595 vehicle turn-in fee. Purchase option at lease end for $25,380 plus taxes (and any other fees and charges due under the applicable lease agreement) in example shown. Subject to credit approval. Specific vehicles are subject to availability and may have to be ordered. Available only to qualified customers through Mercedes-Benz Financial Services at participating dealers through April 30, 2019. Not everyone will qualify. Advertised 36 months lease payment based on MSRP of $54,495 less the suggested dealer contribution resulting in a total gross capitalized cost of $52,226. Dealer contribution may vary and could affect your actual lease payment. Includes Destination Charge and Premium 1 Package. Excludes title, taxes, registration, license fees, insurance, dealer prep and additional options. Total monthly payments equal $20,844. Cash due at signing includes $3,849 capitalized cost reduction, $1095 acquisition fee and first month’s lease payment of $579. Your acquisition fee may vary by dealership. The acquisition fee charged by the dealer may affect the total cash due at signing. No security deposit required. Total payments equal $25,438. At lease end, lessee pays for any amounts due under the lease, any official fees and taxes related to the scheduled termination, excess wear and use plus $0.25/mile over 30,000 miles, and $595 vehicle turn-in fee. Purchase option at lease end for $29,972 plus taxes (and any other fees and charges due under the applicable lease agreement) in example shown. Subject to credit approval. Specific vehicles are subject to availability and may have to be ordered. See participating dealer for details. It´s instantly recognizable. And it looks, feels and performs like nothing else. That’s the E-Class magic. Bold Sport Sedans that proudly wear the Star in their grille. Luxury Sedans that are at equally elegant and exuberant. True to their iconic form, every E is defined as much by its sculpted physique as the visionary innovation within. Available only to qualified customers through Mercedes-Benz Financial Services at participating dealers through April 30, 2019. Not everyone will qualify. Advertised 36 months lease payment based on MSRP of $54,495 less the suggested dealer contribution resulting in a total gross capitalized cost of $50,716. Dealer contribution may vary and could affect your actual lease payment. Includes Destination Charge. Excludes title, taxes, registration, license fees, insurance, dealer prep and additional options. Total monthly payments equal $20,844. Cash due at signing includes $3,509 capitalized cost reduction, $1095 acquisition fee and first month’s lease payment of $579. Your acquisition fee may vary by dealership. The acquisition fee charged by the dealer may affect the total cash due at signing. No security deposit required. Total payments equal $24,738. At lease end, lessee pays for any amounts due under the lease, any official fees and taxes related to the scheduled termination, excess wear and use plus $0.25/mile over 30,000 miles, and $595 vehicle turn-in fee. Purchase option at lease end for $30,749 plus taxes (and any other fees and charges due under the applicable lease agreement) in example shown. Subject to credit approval. Specific vehicles are subject to availability and may have to be ordered. See participating dealer for details. Every E-Class is a masterpiece of innovation. The E-Class AMG® sedans take the high art of driving to entirely new heights. Fortified, sharpened and polished to reset the bar for brilliance, the new 429-hp AMG® E 53 is performance, remastered. They’re the only cars in their class that show you the horizon through four power side windows uninterrupted by framework. It takes an elaborate feat of engineering to uphold two E-Class Coupe traditions: unmatched style and extraordinary strength. The view from outside is no less enticing, with a chiseled physique and a confident stance. Engineered from the winding road to the blue sky as a true 4-seat convertible, the new E 450 Cabriolet makes any season sunnier. With an insulated cloth soft top, breathtaking style and groundbreaking innovations in safety and comfort, it’s the most compelling chapter yet in the rich Mercedes-Benz history of open-air motoring. Available only to qualified customers through Mercedes-Benz Financial Services at participating dealers through April 30, 2019. Not everyone will qualify. Advertised 36 months lease payment based on MSRP of $67,295 less the suggested dealer contribution resulting in a total gross capitalized cost of $66,826. Dealer contribution may vary and could affect your actual lease payment. Includes Destination Charge. Excludes title, taxes, registration, license fees, insurance, dealer prep and additional options. Total monthly payments equal $26,964. Cash due at signing includes $4,649 capitalized cost reduction, $1095 acquisition fee and first month’s lease payment of $749. Your acquisition fee may vary by dealership. The acquisition fee charged by the dealer may affect the total cash due at signing. No security deposit required. Total payments equal $32,468. At lease end, lessee pays for any amounts due under the lease, any official fees and taxes related to the scheduled termination, excess wear and use plus $0.25/mile over 30,000 miles, and $595 vehicle turn-in fee. Purchase option at lease end for $36,339 plus taxes (and any other fees and charges due under the applicable lease agreement) in example shown. Subject to credit approval. Specific vehicles are subject to availability and may have to be ordered. See participating dealer for details. From its muscular stance to its scintillating details, the CLS combines power and poise to be a true Mercedes-Benz coupe. From its diamond-block grille and LED headlamps to its four frameless doors and sweeping profile, it’s a moving experience for the eyes. And from its AMG® styling to its 18″ and 19″ wheels, it makes any driver’s heart race. Available only to qualified customers through Mercedes-Benz Financial Services at participating dealers through April 30, 2019. Not everyone will qualify. Advertised 36 months lease payment based on MSRP of $71,695 less the suggested dealer contribution resulting in a total gross capitalized cost of $69,976. Dealer contribution may vary and could affect your actual lease payment. Includes Destination Charge and Premium 1 Package. Excludes title, taxes, registration, license fees, insurance, dealer prep and additional options. Total monthly payments equal $31,644. Cash due at signing includes $4,299 capitalized cost reduction, $1095 acquisition fee and first month’s lease payment of $879. Your acquisition fee may vary by dealership. The acquisition fee charged by the dealer may affect the total cash due at signing. No security deposit required. Total payments equal $37,038. At lease end, lessee pays for any amounts due under the lease, any official fees and taxes related to the scheduled termination, excess wear and use plus $0.25/mile over 30,000 miles, and $595 vehicle turn-in fee. Purchase option at lease end for $38,422 plus taxes (and any other fees and charges due under the applicable lease agreement) in example shown. Subject to credit approval. Specific vehicles are subject to availability and may have to be ordered. See participating dealer for details. Today’s S-Class previews the future of driving. It can change lanes with a tap of your finger. Slow itself for a tollbooth or exit. Turn a traffic jam into easy street. And watch out for danger ahead, even when it’s coming from behind. Available only to qualified customers through Mercedes-Benz Financial Services at participating dealers through April 30, 2019. Not everyone will qualify. Advertised 36 months lease payment based on MSRP of $107,345 less the suggested dealer contribution resulting in a total gross capitalized cost of $102,496. Dealer contribution may vary and could affect your actual lease payment. Includes Destination Charge and Premium 1 Package. Excludes title, taxes, registration, license fees, insurance, dealer prep and additional options. Total monthly payments equal $51,084. Cash due at signing includes $6,499 capitalized cost reduction, $1095 acquisition fee and first month’s lease payment of $1,419. Your acquisition fee may vary by dealership. The acquisition fee charged by the dealer may affect the total cash due at signing. No security deposit required. Total payments equal $58,378. At lease end, lessee pays for any amounts due under the lease, any official fees and taxes related to the scheduled termination, excess wear and use plus $0.25/mile over 30,000 miles, and $595 vehicle turn-in fee. Purchase option at lease end for $51,526 plus taxes (and any other fees and charges due under the applicable lease agreement) in example shown. Subject to credit approval. Specific vehicles are subject to availability and may have to be ordered. See participating dealer for details. Compact size can’t shrink the shine of the Three-Pointed Star. The bold GLA fuses authentic SUV versatility with the pure passion that defines every Mercedes-Benz. Its nimble size delivers an ideal mix of flexibility, fuel-efficiency and fun. And its advanced engineering delivers genuine capability, true luxury and class-leading innovation. Available only to qualified customers through Mercedes-Benz Financial Services at participating dealers through April 30, 2019. Not everyone will qualify. Advertised 36 months lease payment based on MSRP of $36,195 less the suggested dealer contribution resulting in a total gross capitalized cost of $35,766. Dealer contribution may vary and could affect your actual lease payment. Includes Destination Charge and Premium 1 Package. Excludes title, taxes, registration, license fees, insurance, dealer prep and additional options. Total monthly payments equal $13,284. Cash due at signing includes $2,553 capitalized cost reduction, $1095 acquisition fee and first month’s lease payment of $369. No security deposit required. Total payments equal $16,932. At lease end, lessee pays for any amounts due under the lease, any official fees and taxes related to the scheduled termination, excess wear and use plus $0.25/mile over 30,000 miles, and $595 vehicle turn-in fee. Purchase option at lease end for $20,269 plus taxes (and any other fees and charges due under the applicable lease agreement) in example shown. Subject to credit approval. Specific vehicles are subject to availability and may have to be ordered. See participating dealer for details. European image shown. Has your SUV been working out? People can’t help but notice the muscular new look of the GLC. Honed in the wind tunnel and tuned on the track, its long wheelbase, big wheels and wide track add up to more space, stability and sportiness. And from its crisp proportions to its chrome details, it attracts admiring eyes like it’s drawn to the road. The GLS is engineered and equipped to set the bar for 7-passenger luxury SUVs. Its legacy of leadership includes benchmarks like the S-Class sedan and iconic G-Class. And it’s eager to lead your family anywhere in bold and brilliant style, from it LED lighting, to wheels from 19 to 22 inches, to a body that’s at once muscular and aerodynamic. Available only to qualified customers through Mercedes-Benz Financial Services at participating dealers through April 30, 2019. Not everyone will qualify. Advertised 36 months lease payment based on MSRP of $74,375 less the suggested dealer contribution resulting in a total gross capitalized cost of $70,296. Dealer contribution may vary and could affect your actual lease payment. Includes Destination Charge and Premium 1 Package. Excludes title, taxes, registration, license fees, insurance, dealer prep and additional options. Total monthly payments equal $29,124. Cash due at signing includes $5,209 capitalized cost reduction, $1095 acquisition fee and first month’s lease payment of $809. No security deposit required. Total payments equal $35,428. At lease end, lessee pays for any amounts due under the lease, any official fees and taxes related to the scheduled termination, excess wear and use plus $0.25/mile over 30,000 miles, and $595 vehicle turn-in fee. Purchase option at lease end for $39,419 plus taxes (and any other fees and charges due under the applicable lease agreement) in example shown. Subject to credit approval. Specific vehicles are subject to availability and may have to be ordered. See participating dealer for details. Special lease rates may not be reflected in lease calculator prices shown on MBUSA.com. Please see your dealer for final pricing. On any 2018 Metris Cargo or Passenger Van in stock! 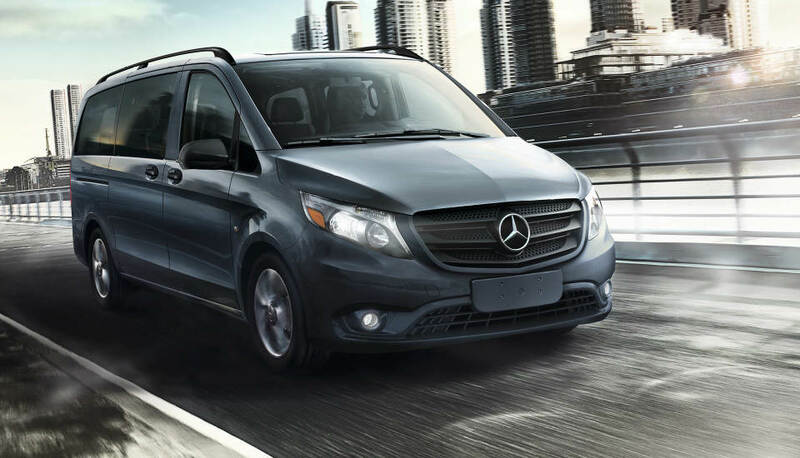 * Offer valid only to qualified customers for purchase or lease of eligible 2018 Mercedes-Benz Metris Vans. Cash back only available on the purchase or lease of a MY18 Metris Van from new dealer stock. 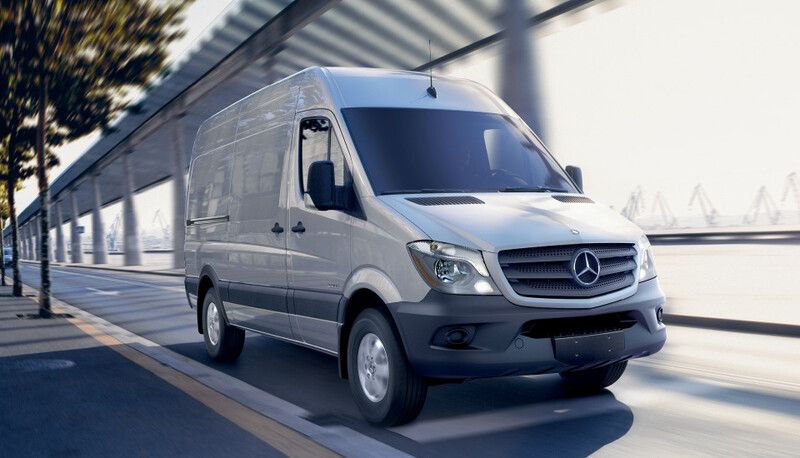 See your authorized Mercedes-Benz Vans dealer or MBVANS.com website for full offer details. Offer ends November 30, 2018. Excludes 4×4, Worker and Box Truck Models. * Offer valid only for Mercedes-Benz Sprinter Vans. Cash back on purchase of MY18 Sprinter Van lease or purchase from new dealer stock. **Offer excludes 4x4, Worker, and Box Truck models. After you’ve taken a look at our new vehicle specials online, it’s time to visit RBM of Alpharetta in Alpharetta for a test drive. Our Mercedes-Benz dealership team is standing by, ready to walk you through the car-buying process and find the new Mercedes-Benz that’s perfect for you. Feel free to apply for financing in advance or estimate your monthly payments with our auto finance calculator! If you’re looking to take on the streets of John’s Creek in a new vehicle, be sure to rely on our current Mercedes-Benz specials. When you work with our friendly sales staff and knowledgeable finance department, you can count on us to find the right model for you at a price that won’t break your budget. Ready to simplify the car-buying process? 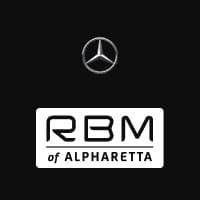 Then it’s time to head to RBM of Alpharetta to take advantage of our various Mercedes-Benz offers. Once you take a look at our available new Mercedes-Benz specials in Alpharetta, be sure to pay us a visit whenever you’re ready to take your favorite model for a spin. If you have any questions along the way, feel free to contact us to learn more about our current specials or new vehicle inventory! In the meantime, keep an eye out for the offers on C-Class or E-Class Models.